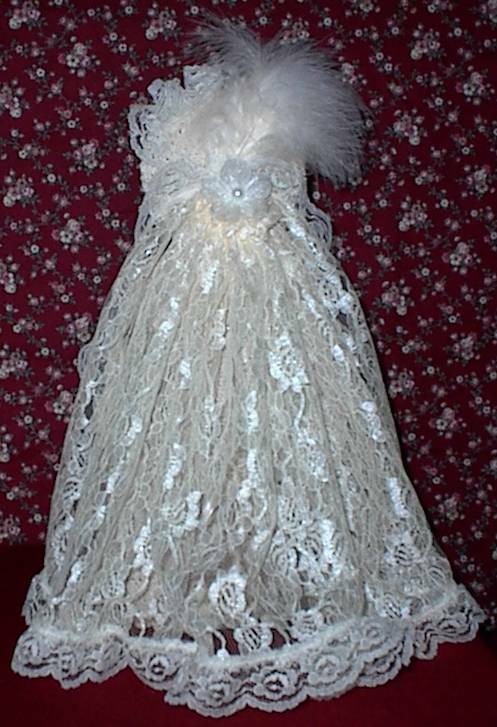 Comes with 2 piece gown, bridal hat, veil, lace gloves, bouquet, doll and doll stand. This gown is done in a cream color. She has a pearl necklace with a cameo and pearl earrings.